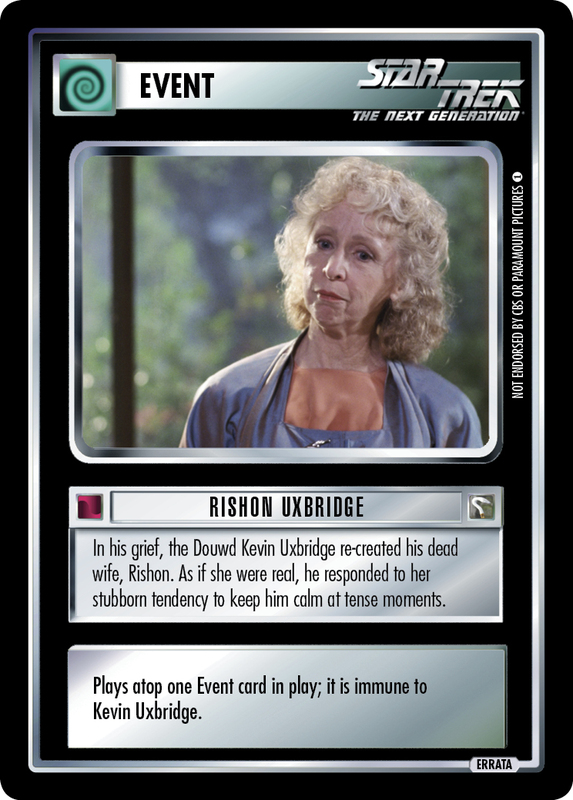 In his grief, the Douwd Kevin Uxbridge re-created his dead wife, Rishon. As if she were real, he responded to her stubborn tendency to keep him calm at tense moments. Plays atop one Event card in play; it is immune to Kevin Uxbridge.